Hi everybody, my name is Frankie Caruso, and i’m a technology expert and applications tester. I know how you feel. You are just dying to know what someone else is talking about in their WhatsApp conversations, and most often, that conversation involves your significant other. Are they having an affair? You are on the right track to figuring that out. You might also just be a worried parent, but if that’s the case, I should invite you to check out the guide to monitor your child’s cell phone where you can learn about the best parental control applications. But let’s get back to the espionage and 007 talk. I am not going to keep you on edge, spying on WhatsApp is possible and easy to do, you just have to learn the right way to go about it based on your skill set. Basically, there are three distinct ways to snoop on WhatsApp. The first of these requires a deep knowledge of IT, the second is easy to apply and exploit WhatsApp Web, and the third is an easy-to-use WhatsApp tracker that will run you a few bucks. To sum this up, below you are the best techniques to spy on WhatsApp messages on both your Android and iPhone. Disclaimer: I should not that spying on WhatsApp messages is illegal, and this article I meant to illustrate techniques for information purposes only. Any unlawful actions performed with this information is your full responsibility. This is a popular and free method to spy on WhatsApp conversations without the victim being aware. When correctly applied, you can read every single chat on the cell phone of the victim, whether that is Android or iOS. Now there is some bad news. Despite it being so popular, not many people manage to find success with this method due to the variables. From my side, I can give the exact steps to follow and be as clear as possible. The result, unfortunately, will not be a guarantee. 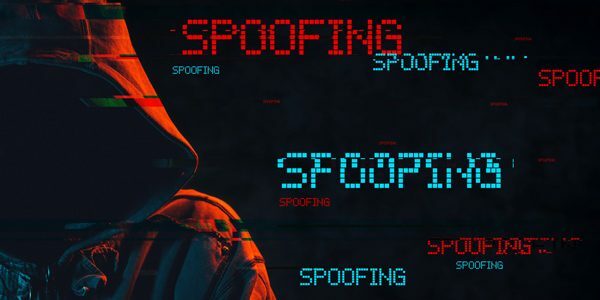 Before you begin, let’s take a brief look at how Mac Spoofing works and watch the video how to get your partner to give you his/her phone. 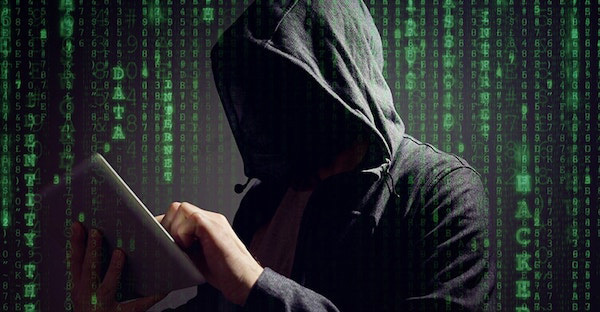 What Does Mac Spoofing Do? Every mobile phone accessing the internet (or any device in general) has a unique ID assigned by its manufacturer consisting of various numbers and letters. This is called a MAC (Media Access Control). Each mobile phone has one different from any other. You can take a look at this video if you have any doubts to this fact. A sneaky way to spy on WhatsApp is to create a clone on your phone, but you will need to get the same MAC of the victim phone to get around the security barriers. Thus, the term “MAC Spoofing”. Without getting overrun with technical details, once you have identified the MAC address of the victim’s device, you mask your phone MAC with the one of the victim’s. Then you uninstall and reinstall WhatsApp. Once you have done this, you have a clone of the WhatsApp account you want to spy on your phone and so you receive all messages and media the victim’s phone does. Let’s take a look at how to put this into practice. The mobile phone of the victim (you need around two minutes). At this point, the first step is to retrieve the MAC address of the spy victim and write it down. You can locate the Media Access Control on a computer only if both phones are connected through the same Wi-Fi network. Windows – Click on the computer icon for connections (bottom right next to the date). Click on Open Network and Sharing Center. Go to Change Adapter Settings. Then, click with the right button on the icon of the network card that interests you. Go to Status. Click on Details. The MAC Address matches the code next to Physical Address. OS X / Mac Computer – Go to System Preferences – Network – Advanced – Hardware. The MAC address you are looking for is the first information available in the window. You can click here for some more information on how to get a MAC address from a network. Uninstall WhatsApp on your mobile device. Change your MAC address with the one of the person you wish to spy on. (Apps will simplify this process like WifiSpoof for iPhone or BusyBox for Android). Reinstall WhatsApp on your phone, being careful to enter the phone number of the victim. Ask the activation code to be sent via SMS, but be mindful this will also be sent to the victim’s phone. Write down the code and delete the message, otherwise you are sure to be caught. Re-set the original MAC Address on your phone. If this was done correctly, you should get all the messages, photos and videos of the person you are spying on. Please Note: Apps that change Mac Addresses require your iPhone to be jailbroken or your Android to be rooted. Mac Spoofing is an effective technique to tap into someone’s WhatsApp account and messages, but the execution takes tech savviness and is time consuming. This is only advisable if you are a computer geek with a lot of time and patience on your hands. Requires: Victim’s phone for a few minutes. In 2015, besides launching the WhatsApp Web Service for direct connections on PCs and Macs, WhatsApp also inadvertently introduced a considerable risk to the safety of its users. Read carefully because you should know how to defend yourself. It is very easy passing from persecutors to the victim. Spying on WhatsApp messages by using WhatsApp web is truly a piece of cake. Take the phone of the person you want to spy on, access the WhatsApp web service site by entering the QR Code. Once logged in, it remains connected until you log out or the phone is taken out of the apartment. WhatsApp Web displays the conversations as long as the phone is around. If the victim takes the phone away from the area, the connection can get interrupted. Due to the latest update, a banner might appear on the screen of the victim’s phone informing them another device on WhatsApp Web logged into their account. The victim could see an active connection to WhatsApp Web by checking among the settings within the app and manually stop sharing to the computer. As was said, this is an easy way to spy on conversations, but be careful, it is easy to become a victim from this same plan yourself. To protect your information and conversations, do not give your phone to anyone else. Using WhatsApp Web as a spying tool is free and a very easy way to monitor someone’s WhatsApp chats. It has its limitations, among them losing the connection if the target phone leaves the area and warnings that could appear to show the user that someone else is accessing their information. 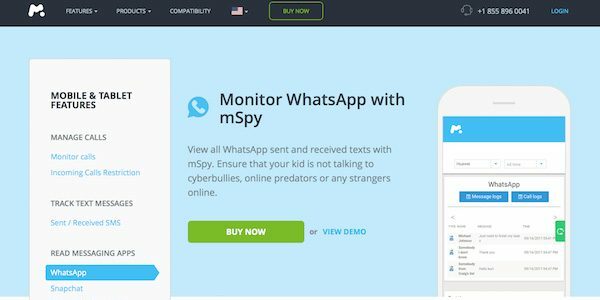 If you are looking for a way to quickly and effectively see someone’s WhatsApp messages remotely without their knowledge, then you need a professional spying application. Let me explain this a little clearer. Mspy is an advanced tool but still very easy to use. You can spy on messages across all instant messaging platforms including WhatsApp. They are the leading application in this field, offering a solution for Androids, iPhones, and Windows phones alike. To put it bluntly, no other application out there comes close. The software will allow you to monitor activity on the target’s smartphone, tablet or computer without their knowledge. You will be able to see everything sent and received with the device, monitor phone calls, text message, voicemail, browsing history, and multimedia content send or received. This application also features real time map positioning with GPS on the phone, meaning that you can see where they are at any time. But what I love most about this company is the 24/7 support available. The mSpy application is easy to download and install, even without any tech background. But if you do have difficulties, there is a support staff available 24 hours a day to help you through whatever hiccup you encounter. With its expert design and all that mSpy can do, you would expect to pay a fortune for it. Actually, while it does have a cost, it is very minimal compared to the features and information it provides. mSpy works on Android and iOS systems, and surprisingly your iPhone does not need to be jailbroken to use this software. MSpy is simple and easy to install, the first step being to obviously purchase and download the application so you can install it on your target. Installation only takes a few minutes, and you do not need any technical skills to do it. Whenever you download the program, you will be able to see any information on the target phone, no matter how private it might be. You will also be able to access their phone information from your computer as well. This should be plenty enough for you to finally be able to log on to your dashboard on mSpy and receive all the information you ever could have asked for. 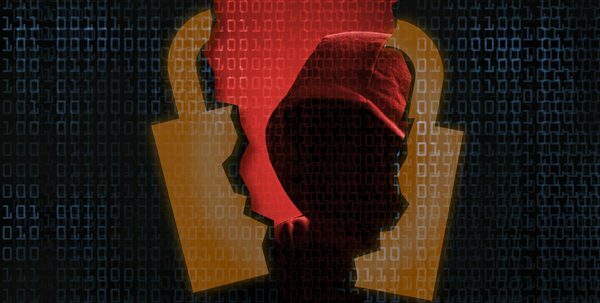 Once installed, the spyware can be accessed from your mobile device or computer anywhere. All you have to do then is log into your account and see the entirely of the victim’s phone on your dashboard. Disclaimer: The software here is meant for legal use only. You will be violating local laws to install spyware on someone’s mobile phone and monitor its activity without consent. Typically, the law requires you to notify the owner of the device that you are attempting to monitor. This is the best way to remotely access not only WhatsApp, but an entire phone without detection. Anyone can use it, and it does not require training or expertise to avoid detection. You only have to pay a few bucks to download the program. These above listed options are the best for monitoring WhatsApp messages. I hope that this information can help you, but in case you still have questions, do not hesitate to comment below. Mac Spoofing is too complicated for me though. I prefer using App like mSpy you mentioned. They suit me as a beginner. If the phone communicate with 2 sim cards, will I be able to have access on bought numbers? Does this app works just for the phone? or for bought sim cards or only one sim card? Hi Jhon, both sim card… mSpy is not connected to Sim Card but to device, so even if you change the sim the app works. what apps is best to spy the apps? Is mac spoofing works on two devices if one is out of country, and using different carrior. Hi Farid, if you want to use the technique of Mac Spoofing you need a good computer skills and the victim’s phone. So if you want to spy a phone that is in a different country you can’t! Probably the best solution for you is a Spy App! can i hack his watsapp. using his google account (gmail) i have his password? Hello Jocintha, what kind of phone does your husband have? does mspy need the target apple id and password? I want to see messages from my daughter’s phone , i have access to it but since she can delete conversation i’d like to see them in real time not when she gets home. But I don’t get it, I go to my web.whatsapp IN MY PHONE/PC (?) select view from web, it generates a code, the I use HER PHONE (?) to scan the code or is it all the way around, go to we.whatsapp on HER phone, generate the code and then use MY phone to scan the code? Hello Aaron, simply go to web.whatsapp.com from your PC, and scan the code with the phone of the other person. Once logged in, it remains connected until you log out. So, just return the phone and leave the PC turned on. After that moment, every conversation will be displayed on your PC. Instead, If you go to web.whatsapp.com from your phone you should request desktop site. Hi Malini, for this reason WhatsApp QR Code is not very secure as a method… The best solution to avoid this problem is to use a spy app. – Go to https://web.whatsapp.com/ from PC and with the phone of the person you want to spy on, scan the QR that appears on the home page. Once logged in, it remains connected until you log out. So, just return the phone and leave the PC turned on. After that moment, every conversation will be displayed on your PC. Please my name is sincere, i would like to know how to access the whatsapp web? do i need to install the whatsapp web ? and how can i get the QrCode ?